The Atmosphera® Family. 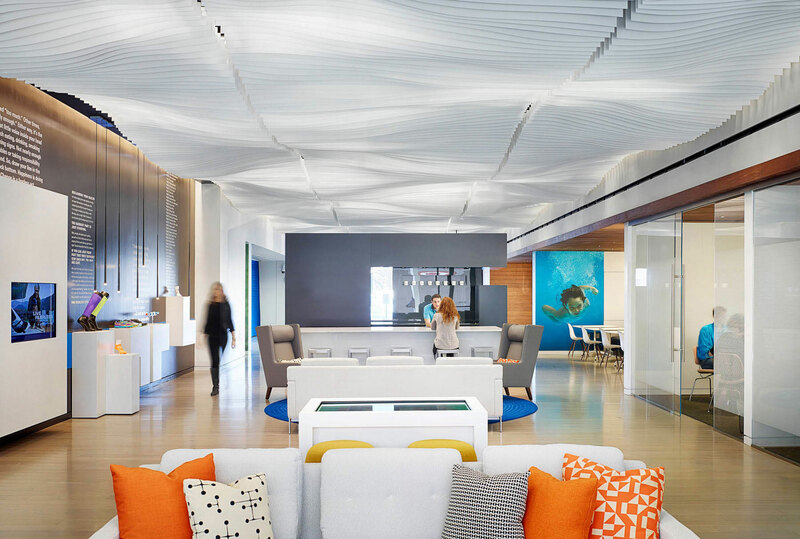 Take your design to new heights using Arktura’s Atmosphera® family of products—a modular, configurable, open baffle ceiling system with a range of tailored visual profiles and options. 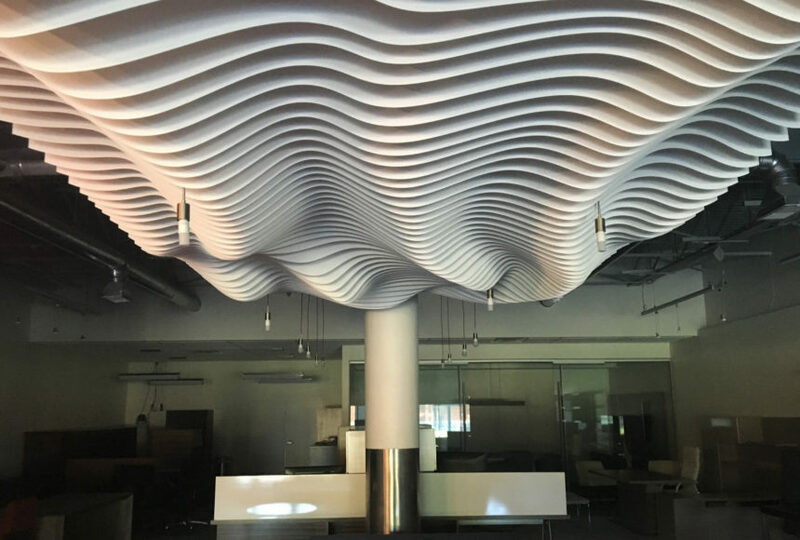 Atmosphera® can adapt to any space and help you achieve bold, beautiful results in architecture and interior design. Each Atmosphera® module is highly configurable and can be adapted to fit any space. Design your own pattern or choose from our style library to fully tailor each system to your project. 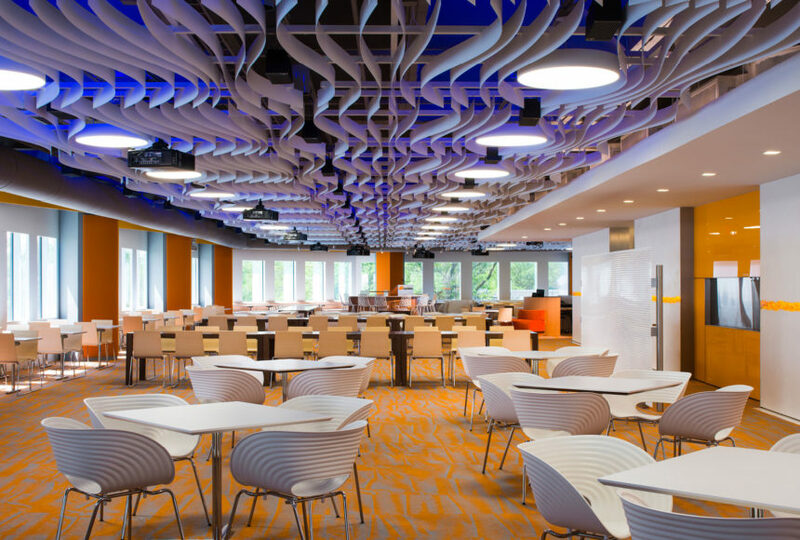 Our Atmosphera® ceilings are 95% open in plan to accommodate building systems and lighting. The Atmosphera® Family allows you to introduce new design elements into your space while helping to screen existing infrastructure from sight. 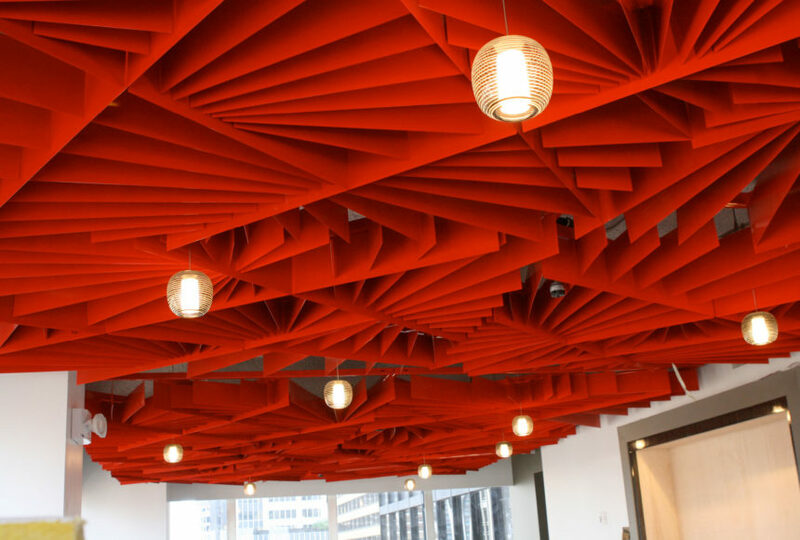 Our innovative Soft Sound® material offers an NRC value up to .9, which allows you to address the important acoustical needs of your space. All of our Atmosphera® materials have a high recycled content and are fully recyclable. In a quick and highly informative way, our sales support team gathers all pertinent project data to help you consider critical project factors. 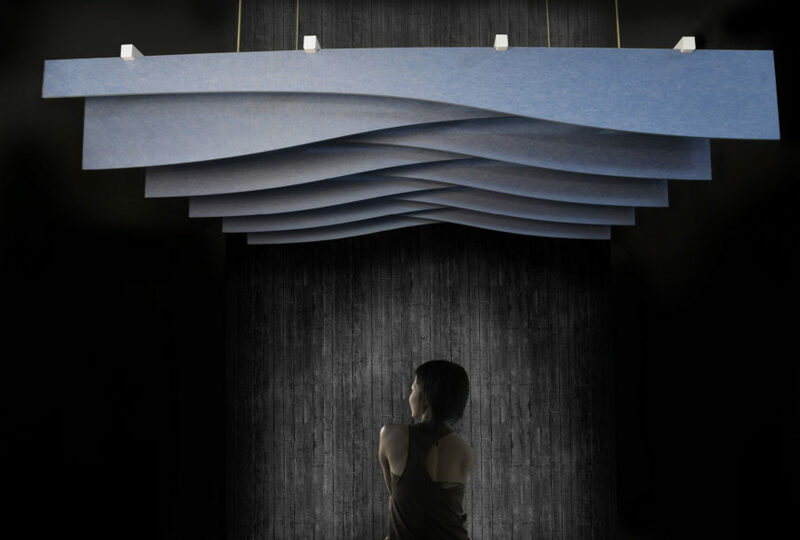 The Atmosphera® system is tailored and customized through our proven design process. Then detailed design and shop drawings are created for your review, input and final approval. From the moment we receive your design approval, we work diligently to capture all final details in our easy-to-understand and highly specific shop drawings. Whether coordinating with your own engineering resources or leveraging our engineering team, every Atmosphera® project is carefully evaluated prior to final production. Our facilities, equipment and personnel combine to offer precision-driven results. We integrated custom software and precision manufacturing to ultimately benefit you, your client and your finished installation. Our team handles all the logistics from start to finish. We organize the crating sequence right down to the fasteners. All this ensures your product is safely packed and arrives undamaged and on time. Let us connect you with our network of trusted installers. Our team of project managers is here to help you along the way.